When your car runs out of gas, or you are locked out, Bellingham Towing makes it easy for you to get back on the road with our roadside assistance service in Arizona. You will feel safer and more secure because we send our roadside assistance team to your place right away. We will arrive at your location in just less than thirty minutes. So, access to our around-the-clock assistance by phone! Winching a vehicle out of an inaccessible roadside area can be difficult. This normally requires a company that is equipped and skilled. If your car is stuck in the snow, sand, or mud, Bellingham Towing is the company to call if you want a winch-out service. But before you call our team of technicians, you need to first have a clear picture of the situation. Let us know how far your vehicle is from the road or the solid land. This way, we know what type of equipment to bring as every situation is unique. 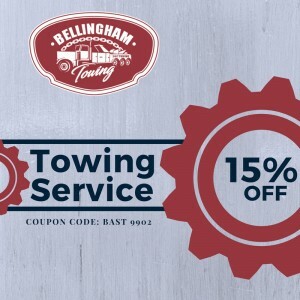 Call Bellingham Towing today! Let our team of expert technicians help you get back on the road! At Bellingham Towing, we are ready to help you with your car’s dead or weak battery. Our roadside assistance team can come to your aid fast and easy. You can rest assured that we will help you get back on your destination right away. In any kind of weather or any type of location, we are here to provide battery jumpstart roadside assistance service in Arizona twenty-four hours a day, seven days a week. Enlist the help of our team when it comes to towing your equipment or vehicle to any location you want. 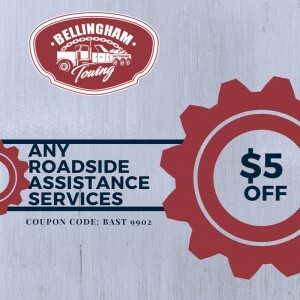 Bellingham Towing is able to open all vehicles with our wide range of services and methods. We have our team of technicians who have years of experience in the industry. They can handle any model and make imaginable. Once our technicians have arrived, they will assess your situation. Bellingham Towing is an expert at providing care and quality to assure you that your vehicle is not in danger during the car lockout procedure. We also ensure to you that it will be a smooth lockout process. So, give us a call at Bellingham Towing right away! If you request emergency roadside assistance service in Arizona, Bellingham Towing will dispatch a team of experts to take care of your emergency road issue right away. You can save yourself more time when you contact us. That is why for a professional and friendly assistance, let Bellingham Towing help you to get your vehicle back on the road in no time! © Copyright Bellingham Towing 2018. All Rights Reserved.